A new book details a formerly undisclosed 1999 plot to assassinate Morris Dees, co-founder of the Southern Poverty Law Center (SPLC), and possibly also to blow up the center. 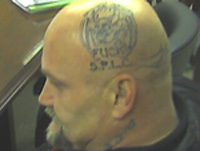 Written by FBI agent Tym Burkey and informant Dave Hall, Into the Devil’s Den describes how Hall, after penetrating the neo-Nazi Aryan Nations group in Ohio and Idaho, uncovered the plot shortly before the assassin was to head south to SPLC headquarters in Montgomery, Ala. The assassin was arrested on April 14, 1999, and had timed his attack to roughly coincide with the April 19-20 anniversaries of the fiery end of the 1993 Branch Davidian siege in Waco, Texas, the 1995 Oklahoma City bombing, and the birthday of Adolf Hitler. The plot was apparently concocted by several men upset that Dees and the SPLC that year sued the Aryan Nations in an action that ultimately resulted in the sale of the group’s Idaho compound. The 1999 plot, which was averted thanks to the work of Hall and Burkey, was only the latest attempt by extremists to assassinate Dees or attack the SPLC. More than 30 people have been sent to federal prison in connection with similar plots. For more on this case, read an account of the plot here.